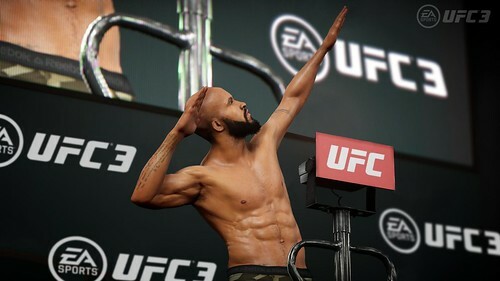 EA SPORTS UFC 3 will feature the G.O.A.T. Career Mode, allowing users to make choices inside and out of the ring to gain fans, build hype, and earn bigger contracts. Fighters will begin Career Mode in the WFA with hopes of being noticed by the UFC. Having success in the UFC means bigger contracts in which in-game cash will help afford better training gyms. Fighters will also have the opportunity to balance their time between promoting their fights and training, with a trade-off for each. The fourth content update for EA SPORTS UFC 2 is now available for download worldwide on PlayStation 4 and Xbox One. 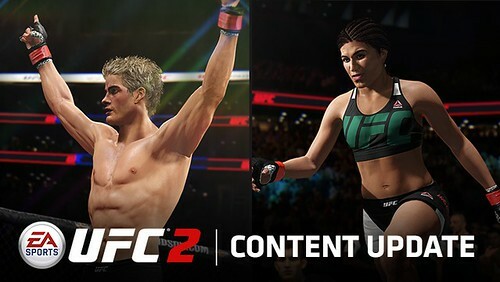 This content update adds two new fighters, UFC Ultimate Team features, and gameplay updates. The two new fighters added are Women's Strawweight Karolina Kowalkiewicz and men's Featherweight Thiago Tavares. Ultimate Team improvements include Fighter Showpieces (think Collections) that can unlock new rewards. The third content update - game update 1.06 - is now available for EA SPORTS UFC 2. 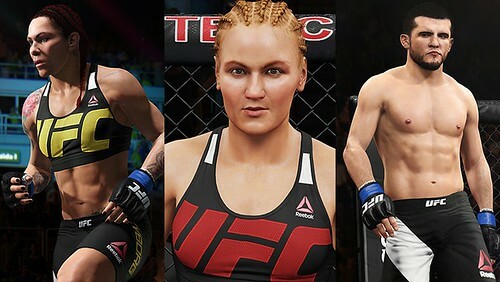 The update adds in three new fighters: Cris Cyborg, Valentina Shevchenko, and Albert Tumenov. Also included in the update is a new Live Event Competition game mode. The online mode features 1-on-1 matches based on upcoming UFC events. All fighters will be balanced with the same ratings and move levels. Each user will be able to select five Fighter Perks for a unique style/approach. The users who reach the top tier of the leaderboard will qualify for a tournament to crown the best EA SPORTS UFC 2 player in the world. EA SPORTS UFC 2 is currently holding a contest where the best Created Fighters made by the community can earn them some great prizes. Created fighters must be submitted by Tuesday, April 12. The first round of voting runs through April 18 and the final five will be voted on until a winner is decided on April 25. Following social media posts from an upset Khabib Nurmagomedov, the post-fight victory celebrations have been addressed in EA SPORTS UFC 2 game update 1.04. The first content update for EA SPORTS UFC 2 adds three new fighters: Sage Northcutt, Jessica Aguilar, and as a hidden fighter, commentator Joe Rogan. Fighting out of the Welterweight division, Northcutt currently has a career record of 7-1. In the Women's Strawweight Division, Aguilar is 19-5. Rogan can be unlocked by entering the Konami game upon starting the game. The full roster has been revealed for EA SPORTS UFC 2. Featuring 250+ male and female fighters across ten weight classes, the roster includes legends, current competitors, as well as Mike Tyson. Several fighters exist across numerous weight classes, meaning there are multiple versions of some putting the number of unique competitors below the 250 mark. However, with such a large and diverse roster, the game should benefit from a varied experience within career mode, hopefully minimizing repeat matches and/or career paths, and also providing a significant number of options for users across the game modes. The roster reveal tab on the official product website also includes an area for detailing fighter ratings, however none have been disclosed to date. A new EA SPORTS UFC 2 video details some of the changes coming to the game's Career Mode and Online Championship mode. 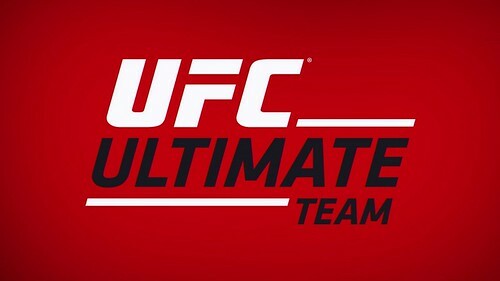 EA SPORTS has posted a video and blog breaking down how UFC Ultimate Team (UUT?) will work in EA SPORTS UFC 2. Anticipation and interest in the mode even by those traditionally not big Ultimate Team fans exists due to the individual basis of the sport as compared to the team-based focus in other Ultimate Team modes. In UUT, users will create five different fighters as part of their team and they can be across various weight classes. Coins (earned in-game) or UFC Points (purchased) can purchase packs to earn packs and items to improve/customize their fighters. Within the mode, users can compete in Daily Objectives as well as Single Player & Online Championships. 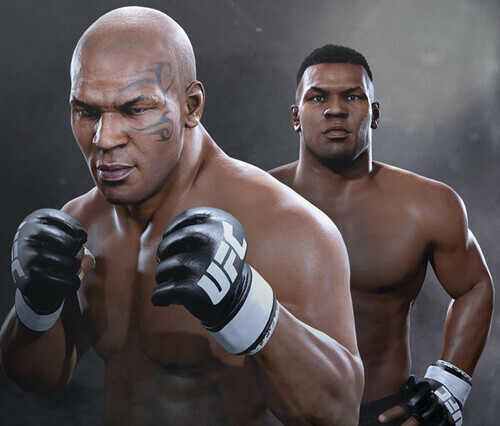 The mystery pre-order fighter has been announced for EA SPORTS UFC 2 and as many in the sports gaming community corrected guessed, it is former boxing champion Mike Tyson. Users who pre-order the standard edition of the game will have instant access to "Iron" Mike Tyson, modeled and based upon the boxer in the 1980s. Those who pre-order the Deluxe Edition will receive both “Iron” Mike as well as “Legacy” Mike Tyson, which is based upon the end of his boxing career. Both versions can also be unlocked by progressing in the game. Mike Tyson has quite the video game legacy. He has appeared in the following franchises: Mike Tyson's Punch-Out! !, Mike Tyson Boxing, Fight Night Round 4, Mike Tyson: Main Event, WWE '13, and now EA SPORTS UFC 2. 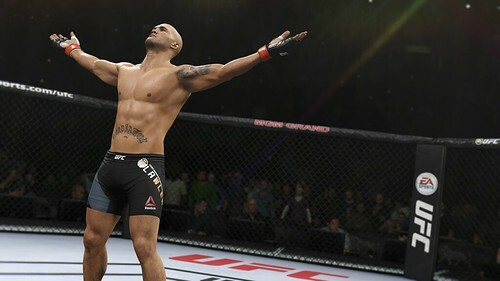 The beta will contain several game modes, including Quick Fight, UFC Ultimate Team, Practice Mode, and Skill Challenges. The first video in the gameplay series for EA SPORTS UFC 2 highlights the new knockout physics engine, submissions, grappling, and defensive mechanics coming to the title. 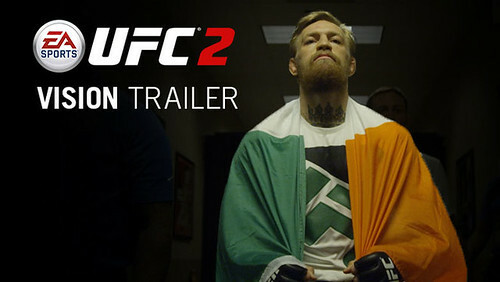 The official gameplay trailer for EA SPORTS UFC 2 has been unveiled and provides an in-game look at some of the biggest moments in the UFC recently. The trailer also announced the game's release date of March 15, 2016. Pre-orders will receive three fighters: UFC Hall of Famer and three-time King of Pancrase, Bas Rutten; and Japanese MMA legend, “The Gracie Hunter” Kazushi Sakuraba, with an additional mystery fighter who will be named later. 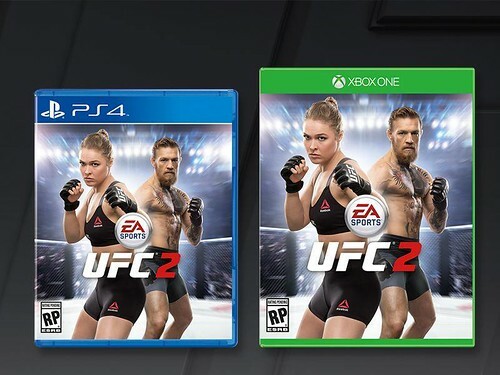 With his 13 second knockout victory Saturday night, Conor McGregor will join Ronda Rousey on the cover of EA SPORTS UFC 2 coming Spring 2016. 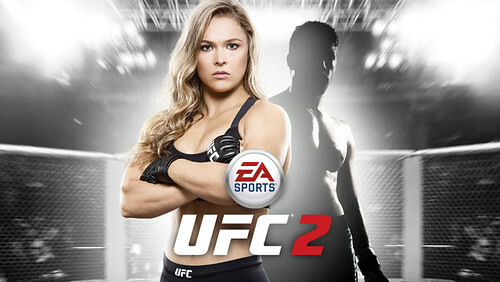 The two were heavily featured in the initial media release for the title, indicating EA's desire to have them as cover athletes as they are currently considered the most marketable fighters in the UFC. For the first time ever, the winner of a real-world sporting event will be named a video game cover athlete. 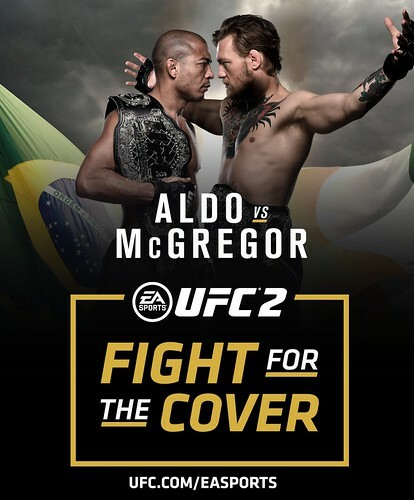 Next Saturday night's UFC World Featherweight Championship at UFC 194 will feature Conor McGregor vs. Jose Aldo and the winner will join Ronda Rousey on the cover of EA SPORTS UFC 2. Following Rousey's upset loss to Holly Holm following her announcement as co-cover athlete, this methodology ensures a winner and champion will likely be on the cover for UFC 2's spring release. Users can make their fight prediction at UFC.com/EASPORTS and then see a unique in-game video of their predicted outcome. EA SPORTS UFC 2 will not be released until Spring 2016, but EA SPORTS has already released basic information on some of the features coming to the title. Despite UFC being an individual sport, UFC 2 will include UFC Ultimate Team. Knockout Mode will see matches only decided when one user knocks out the other. 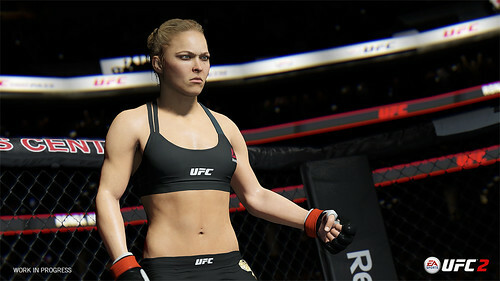 EA SPORTS GAME FACE returns to allow the ultimate customization for user fighters. 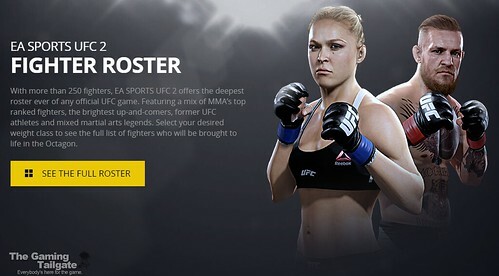 Ronda Rousey will be the global cover athlete for EA SPORTS UFC 2, coming spring 2016. 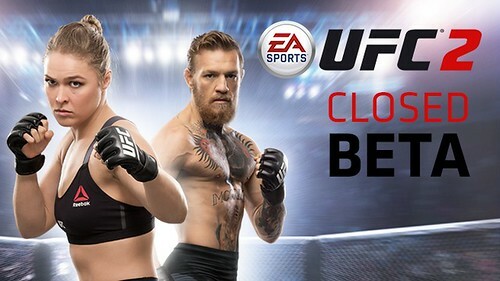 Rousey, the current UFC Women’s Bantamweight Champion, is arguably the most recognized fighter in the world and is now the fourth female cover athlete this year for an EA SPORTS title. FIFA 16 featured Alex Morgan on the US cover, Christine Sinclair in Canada, and Stephanie Catley in Australia. Ahead of Friday's feature set reveal, EA SPORTS has set the stage for EA SPORTS UFC 2 by explaining the development team's vision for the title. 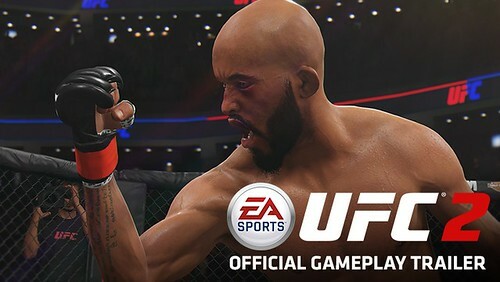 EA SPORTS UFC 2 delivers ultimate character likeness and animations, adds an all new Knockout Physics System and authentic gameplay features, and invites all fighters to step back into the Octagon™ to experience the excitement of finishing the fight. From the walkout to the knockout, UFC 2 delivers a deep, authentic, and exciting experience.